Falling flakes is one of the problems caused by using harsh shampoo formulas. 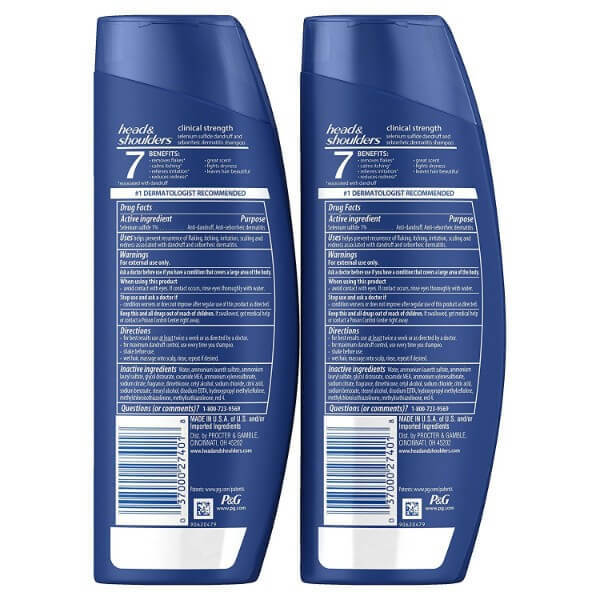 To control dandruff, Head and Shoulders Anti-Dandruff Clinical Strength Shampoo is just perfect to cleanse hair and scalp without making it too dry. 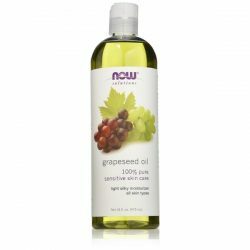 It is one of the best hair care products that help remove excess oil, dirt, and other flakes trapped in scalp. When choosing shampoo for hair care, it is best to pick gentle formulas that can remove the dirt from hair without making it too dry. Scalp formulas often make dandruff worse by leaving residues on hair. Head and Shoulders Anti-Dandruff Clinical Strength Shampoo addresses the root of dandruff while making sure that hair stays shiny. 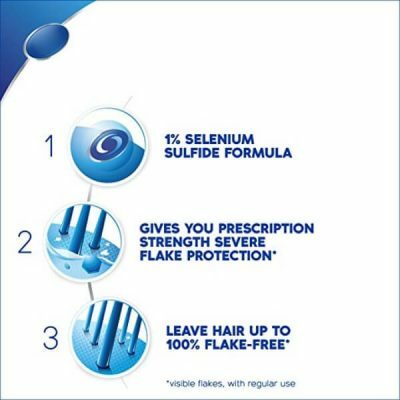 Its formula contains 1% selenium sulfide, which is effective in helping ease the irritation, itchiness, and flaking caused by dandruff. Scratching the scalp too much can cause redness and swelling. The anti-inflammatory effects of the shampoo will help reduce the redness and inflammation of the scalp. This helps improve the health of the hair by unclogging hair follicles too. Hair fall is a common issue linked to dandruff. Due to clogged hair follicles and unhealthy scalp, the roots of hair become weaker. It receives less nourishment from hair products too. This shampoo gets rid of the flakes, dead skin cells, and excess oil on scalp. It refreshes scalp and helps stimulate blood flow to make sure that hair receives nourishment. 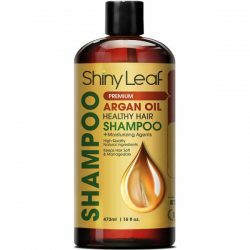 Using the shampoo leaves hair softer, smoother, and shinier too. Head and Shoulders shampoo does not dry hair. In fact, it helps provide moisture that seeps through layers of hair to protect it from dryness and breakage. 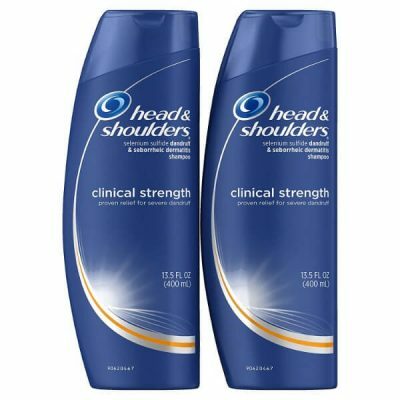 Regular use of Head and Shoulders Anti-Dandruff Clinical Strength restores the scalp and hair health. It is gentle enough for daily use. It works for all hair types including color and chemically treated hair. Cleanse hair daily to get rid of falling flakes. Get noticeable results with this shampoo! For best results, use the shampoo daily. Take a dime-sized amount of shampoo and apply to scalp. Lather and massage on scalp to help get rid of the flakes. Do this for 2-3 minutes before rinsing off. Use lukewarm water to prevent hair dryness. 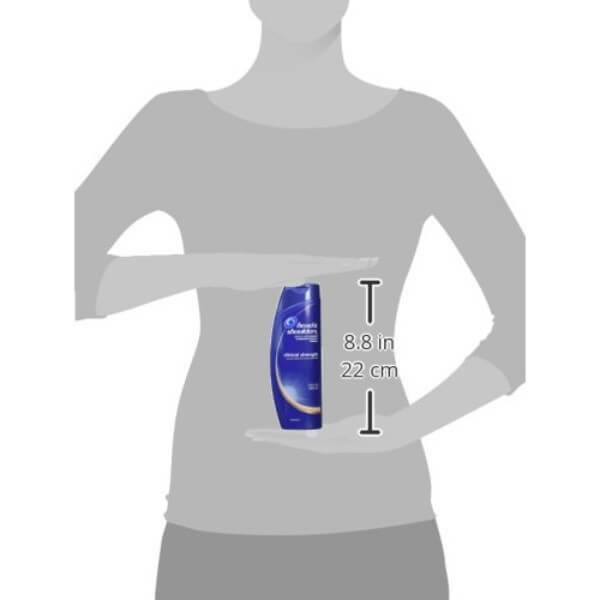 Pair the shampoo with a conditioner made especially for dandruff. 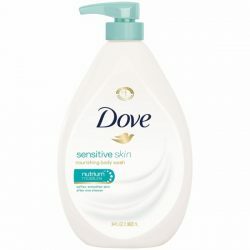 Active Ingredient Selenium Sulfide 1% Inactive Ingredients: Water, Ammonium Laureth Sulfate, Ammonium Lauryl Sulfate, Glycol Distearate, Cocamide MEA, Ammonium Xylenesulfonate, Sodium Citrate, Fragrance, Dimethicone, Cetyl Alcohol, Sodium Chloride, Citric Acid, Sodium Benzoate, Stearyl Alcohol, Disodium EDTA, Hydroxypropyl Methylcellulose, Methylchloroisothiazolinone, Methylisothiazolinone, Red 4.